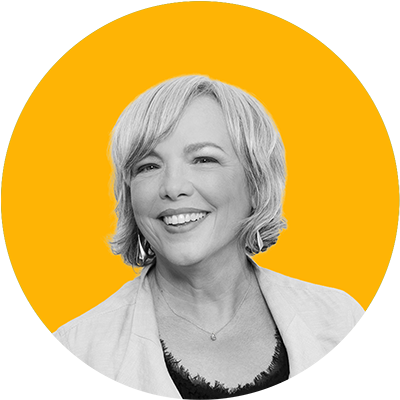 Brunet-García creates lasting social impact through strategic, multicultural branding and communications. We transform complex messages about health, safety, the arts and other social issues into integrated campaigns that educate with breakthrough storytelling. Our work creates meaningful brand experiences that drive positive action among diverse audiences. We are a tribe with purpose. Jorge’s 40-year career has been filled with great ideas and great execution. 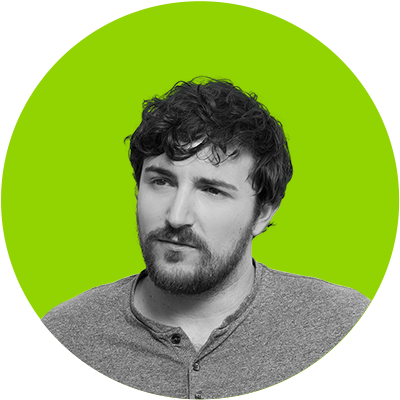 His creative prowess spans traditional media and digital advertising with a unique ability to understand diverse audience demographics. 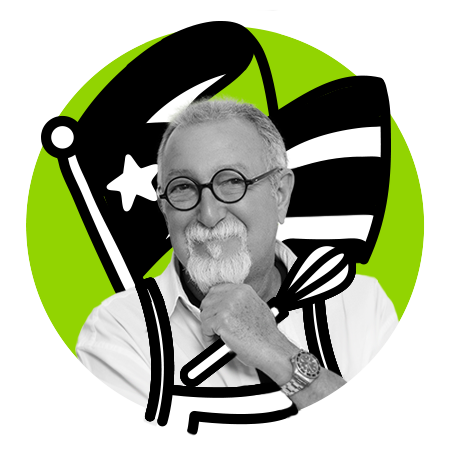 Jorge’s creative leadership has energized brands in multiple languages and markets from telecommunications, automotive, financial, and pharmaceutical to hospitality, real estate, healthcare, and government. As President and CEO, Jorge holds our entire team to a high standard and provides the counsel and tools we need to exceed both our clients’ expectations and our own. When he’s not safeguarding our company’s ethos and having animated discussions with the creative team, Jorge can be found in the kitchen, living up to his reputation as America’s greatest amateur home chef. 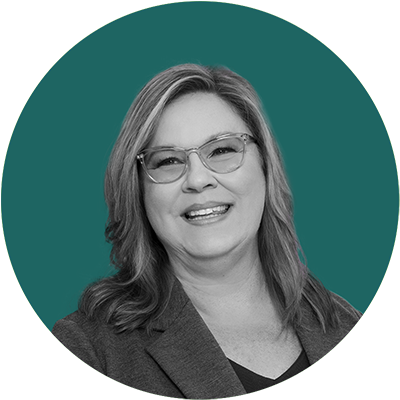 With more than 20 years’ experience in all facets of marketing, advertising, and public relations, Diane oversees the financial and corporate administration of our agency. Diane is accessible, honest, and equitable, and she is beloved for it. 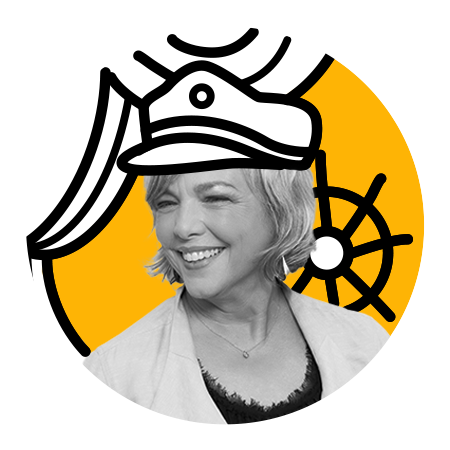 She gives us the freedom to chart our own course, but she is always at the helm of the ship, guiding impactful national campaigns and growing essential partnerships. The role of captain comes naturally to Diane. She is the daughter of a Navy serviceman whose sense of honor and commitment helped shape Diane into a professional and community leader. Her work advocating for the arts and education has made her Brunet-Garcia’s face in the community. When not welcoming the rising sun with a brisk walk along the St. Johns River, Diane can be found laughing, and sometimes crying, at local theatre productions. 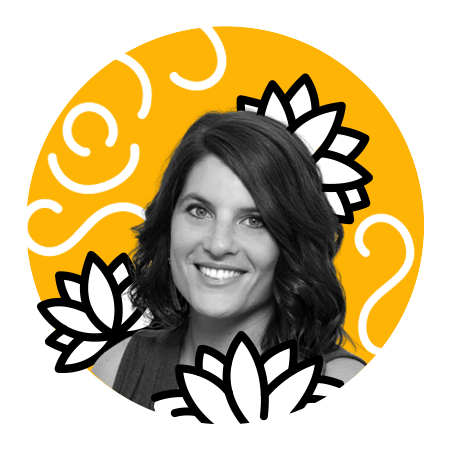 Molly Walker is not only a Partner and Chief Strategist at Brunet-García, she is also our Chief Alchemist, turning public-private alliances into social currency that creates positive change on a national level. Molly oversees strategic planning and business development efforts as she leads the agency’s plans for growth. 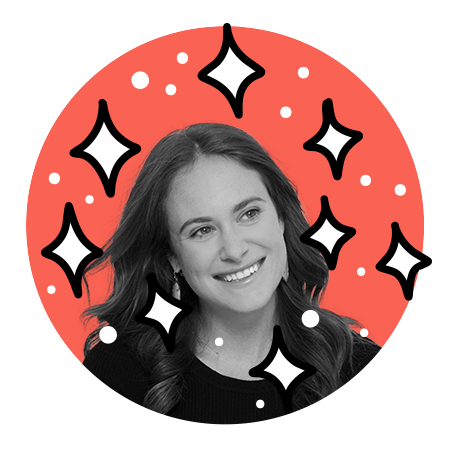 That growth is powered by Molly’s unbridled enthusiasm for great partnerships – partnerships she helps build and maintain. Molly’s laugh is usually better than the joke that inspired it, and her sunny disposition helps us keep our cool during the most stressful of situations. Outside of work, Molly’s strategic focus is on having fun with her family. With more than 18 years’ experience, Kim leads our agency’s public relations team in developing and executing consumer outreach efforts. She oversees our earned and social media relations activities as well as grassroots events. 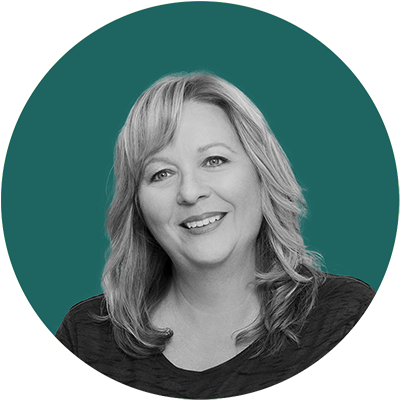 Kim is also an integral part of our leadership team, helping to ensure we fulfill our mission of making a positive social impact. Not only does she understand government infrastructures, but she can also navigate contentious public health issues to find the right innovative communication strategies. Kim can also navigate open water. She has been sailing competitively since childhood, and racing remains her favorite hobby. When in need of greater relaxation, she sets sail from the Florida Yacht Club and cruises the St. Johns River with her husband, Mark, and their daughter. 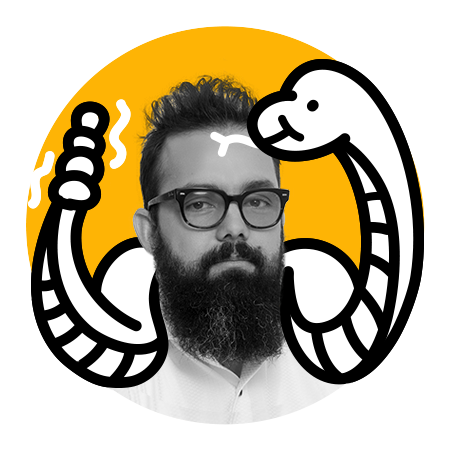 In his role as Creative Director, Eduardo nurtures immense talent and helps transform good ideas into great ones. 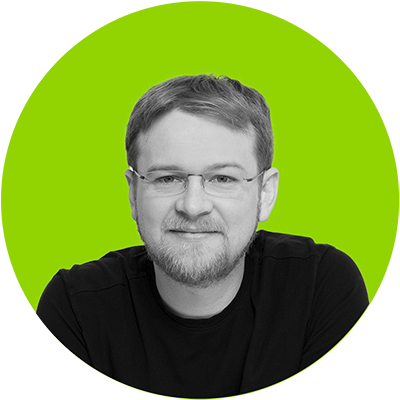 He has the ability to encourage and extract compelling work from both agency and client. 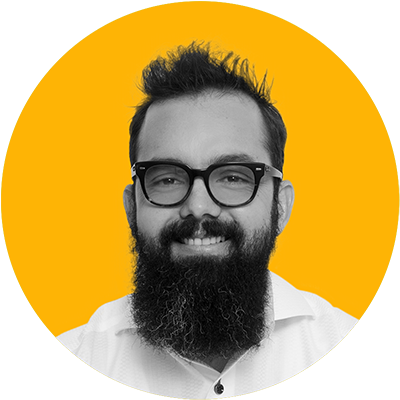 A native of Cienfuegos, Cuba, he migrated to the U.S. in 2006 and has extensive experience reaching disparate audiences throughout the U.S. and Latin America for multinational brands like Hyundai, MoneyGram, and Microsoft. His work as an illustrator, designer, and art director has garnered acclaim among fine art galleries, advertising/marketing clubs, and advertising publications. When he’s not grooming his prodigious beard, Eduardo spends much of his spare time creating art. Some of his favorite portrait subjects are his wife Ketty, and their two sons. 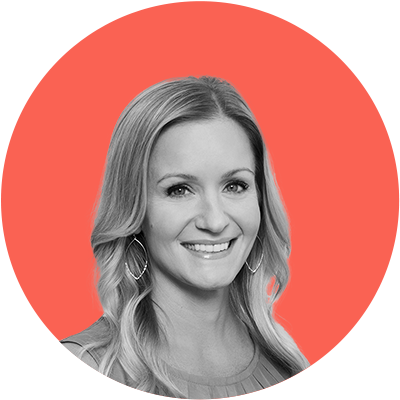 As Vice President of brand and marketing strategy, Kim helps our team think big. When it comes time to hone those grand ideas into strategic solutions, she is at the forefront of our efforts. 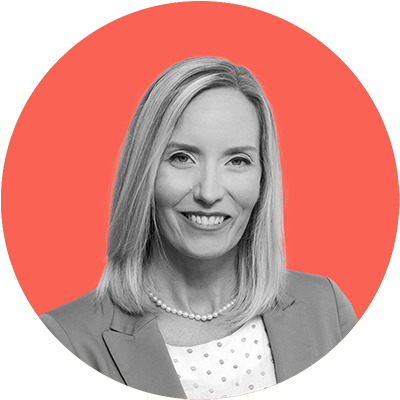 She leads the account team and agency partners to solidify brand, marketing, and research strategy for clients across the public health spectrum, including the Centers for Disease Control and Prevention, the National Institute of Mental Health, Health Resources and Services Administration, and Florida Health, among others. Kim understands that research is the foundation of program innovation and implementation. Her desire to learn extends beyond work into her personal and academic life; she travels frequently to Russia where she worked on her master’s thesis. 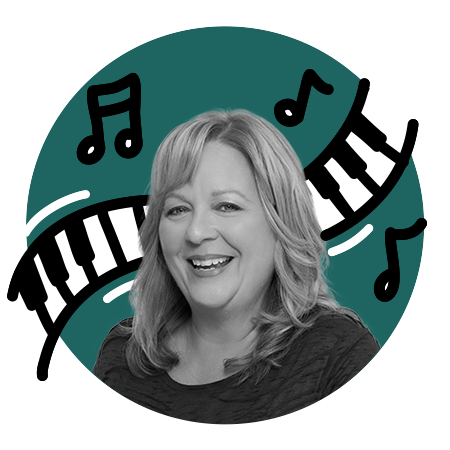 Kim is also music lover and pianist, so it’s no surprise that her husband Daniel is a symphonic composer. 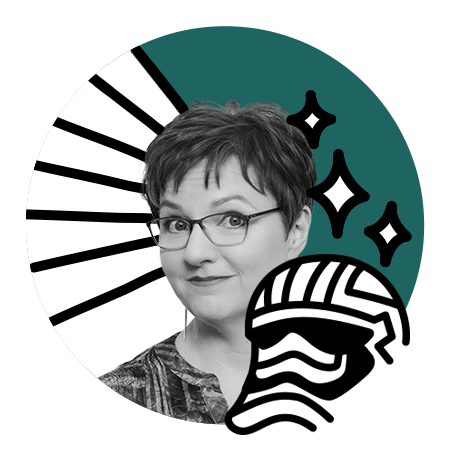 Equal parts artist and analyst, Aerien brings a gift for critical thinking to our agency in her role as Associate Creative Director. 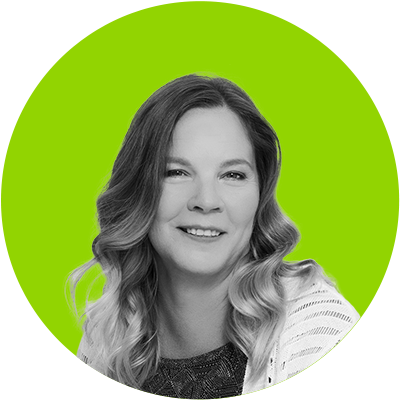 Her design skills are exceptional, but it’s her patience and her acuity for strategy that assures we deliver the highest quality creative to our clients. Aerien understands how important accessible design and comprehensible copy are to executing a full brand. To that end, she has been instrumental in helping create campaigns for a range of federal and commercial clients. Aerien is a student and fan of the advertising game, and as such, she has served as President of the Jacksonville Chapter of the American Advertising Federation. She’s also a Michigan native who is happy to be away from long winters, soaking up the Florida sun with her husband Patrick and their son. 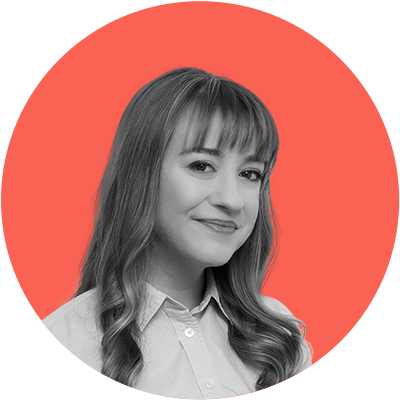 Katy is our Creative Group Head and a top-notch visual designer. She’s as comfortable defining brand strategy as she is executing it. 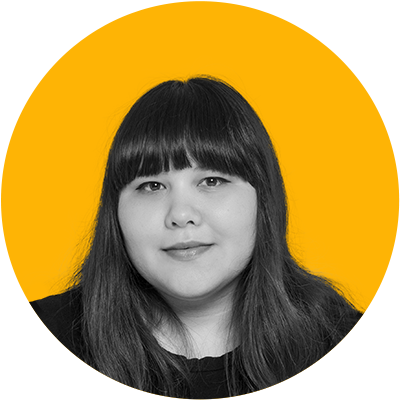 We lean on her expertise in interactive and user experience design, branding, typography, and content creation. 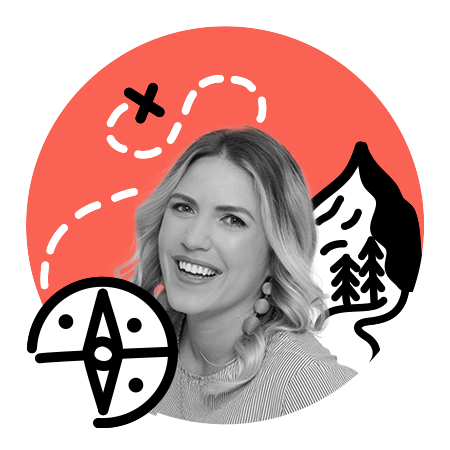 Katy has her finger on the pulse of design and interactive trends and understands how to incorporate them strategically into effective campaign creative. Katy’s work is filled with the same irrepressible spirit that defines her personality. She’s your go-to if you need an inspired brainstorm or just a silly laugh over a coffee or drink. 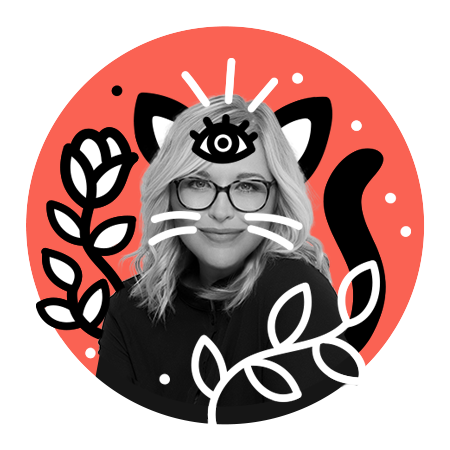 When she is not creating something or participating in a design community event, Katy spends her time with her husband, Dan, and a sweet black kitty named Todd. 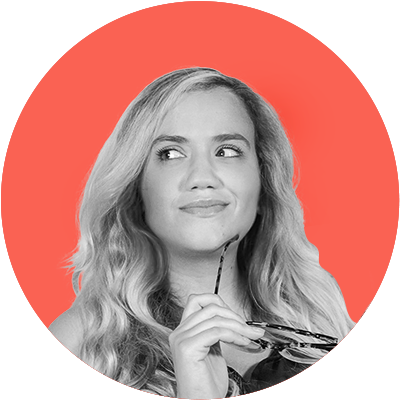 As the agency’s traffic manager, nothing can escape Kate’s diligent eyes as she manages the internal flow of projects through the agency. 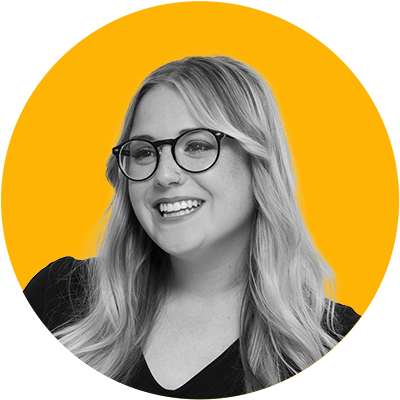 It is a high-wire balancing act, but Kate pulls it off through constant communication and a willingness to get in the trenches with team members and clients. Under her second hat as Senior Account Manager, her disciplined approach toward crafting communications campaigns has put her at the helm of projects for the Administration for Children and Families and the United States Department of Agriculture. The Jacksonville Business Journal selected Kate as one of its 40 Under 40 honorees for her business success, leadership skills, and community involvement. That involvement extends to Kate’s volunteer work advocating for arts education. She also enjoys staying active with her husband, Ben, and exploring the sometimes indecipherable lyrics of Bob Dylan. 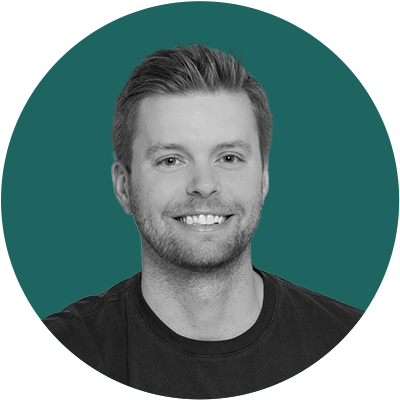 As our Senior Developer, Mike provides technical direction and implementation for the development, design, and integration of our digital solutions. While that sounds complicated, Mike shuns complexity in favor of simple solutions that meet clients’ needs. He’s not just a coding guru and tech whisperer; he’s also a creative collaborator who ensures that every interactive digital project retains a user focus. 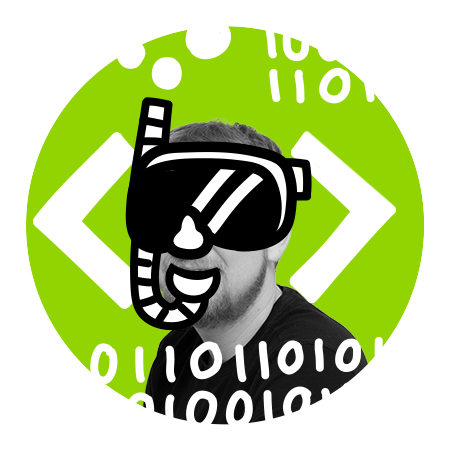 Mike believes the best way to build good software is by adapting theory to fit needs of the client and codebase. In his spare time, Mike enjoys tinkering with the latest tech tools. But don’t let his laconic appearance fool you; when the coding is done for the day, Mike likes to cut loose. He enjoys scuba diving and has taken classes in Krav Maga, a self-defense fighting system. 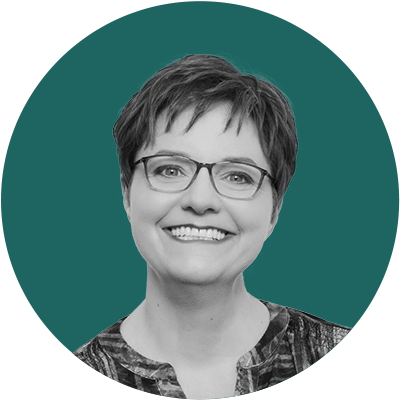 With nearly a decade of experience in account management, Anna has pioneered our Atlanta office and runs much of our client work for the Centers for Disease Control and Prevention. She is a natural and pragmatic problem-solver who knows how to manage the myriad moving parts of agency and client. 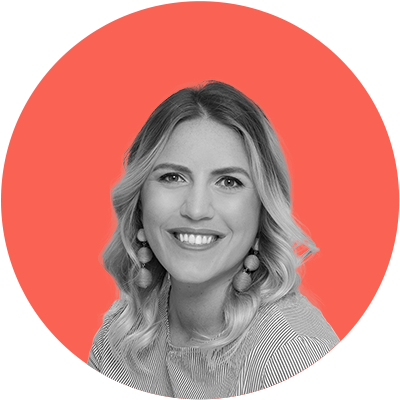 As a talented relationship builder and strategic thinker, she ensures that clients meet their goals, maintains excellent communication with everyone on the team, and meets client deadlines on time and within budget. 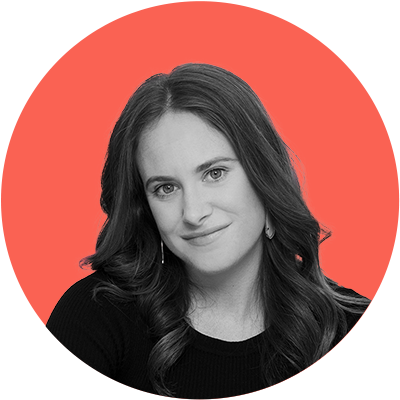 Anna’s intense work ethic belies her laid-back Ponte Vedra, Florida upbringing. She is a regular at her crossfit gym as well as many of the pubs and bistros in metro Atlanta, and she recently joined a bocce team, affectionately dubbed Bocceholics. 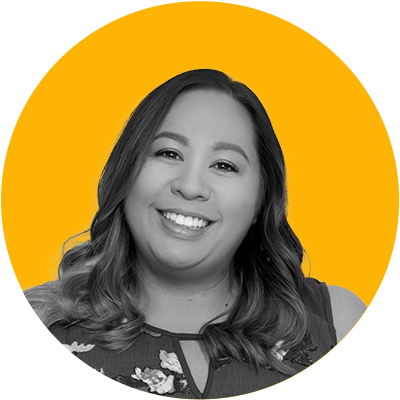 Iwalani, or “Lani” to her friends and coworkers, is focused on finding cost-efficient advertising purchasing solutions for our clients. She combines expert communication, negotiation, and persuasion skills with analytical thinking. Iwalani has an extensive background in news and broadcast media. 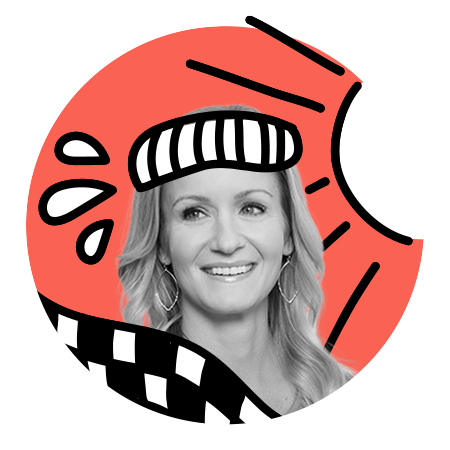 At Fox Broadcasting, she worked on launching new shows like Empire while creating advertising plans for older staples like The Simpsons. 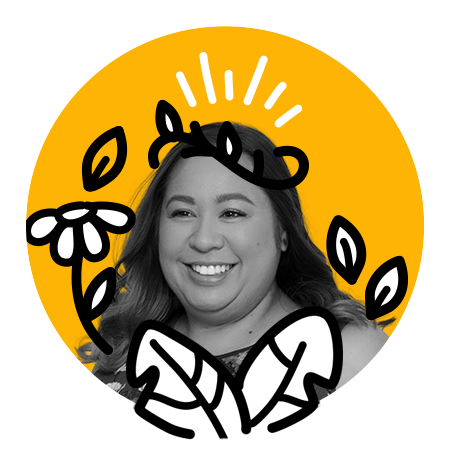 After completing her MBA, Iwalani moved to the government contracting arena where she worked with Sensis in Washington, D.C. As our resident media expert, she focuses on helping clients make the biggest impact with campaigns that change the world for the better. Iwalani is a native of Guam, and she is still an island girl at heart. She is also a self-confessed reality television junkie who can tell you about who did who dirty on just about any Bravo, TLC, and E! show. 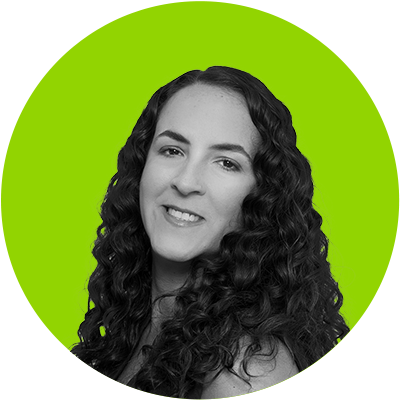 Strategy is in Angelique’s title, but along with creating and executing some of our best-laid plans, she also manages performance for clients while providing marketing oversight to Brunet-García’s internal accounts team. Angelique’s government experience began with the U.S. Army, where she worked on honing strategic communications at the grassroots level. 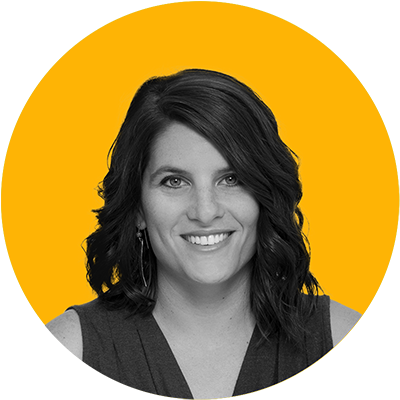 Since then, she’s brought her holistic marketing approach to several agencies, including Planit, Sensis, and McCann Worldgroup. One of the things that attracted Angelique to Brunet-García is an affinity for agencies with roots in diversity. That love for diversity is apparent in Angelique’s interests outside of work. She is a mean duckpin bowler, and she has an ear for good EDM (electronic dance music). She’s also heavily involved with the American Advertising Federation chapters in Baltimore and Washington, D.C. 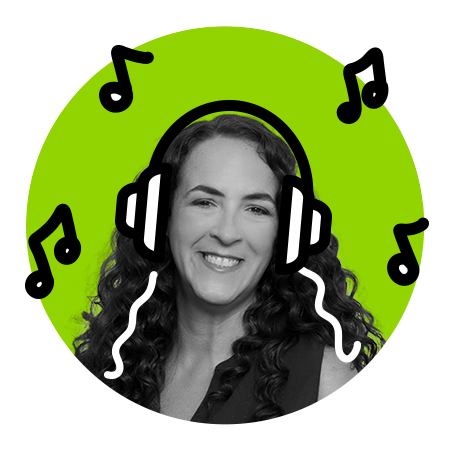 In her role as Senior Manager of Public Relations, Denise captures Brunet-García’s voice and amplifies it, distortion free, for the world to hear. She has more than 25 years of communications and media experience, including roles as assistant managing editor at The Florida-Times Union, editor of Folio Weekly, and communications director at the Museum of Contemporary Art Jacksonville. 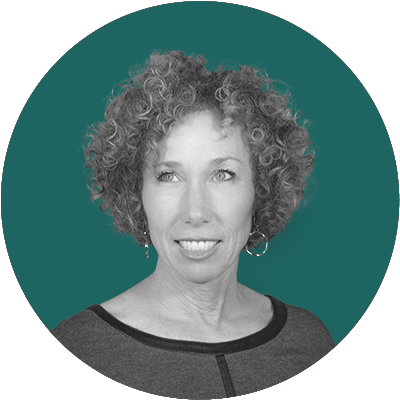 Denise mixes her skills in journalism, psychology, and management to help our agency and our clients navigate an ever-shifting landscape. Her passion is writing to help impact the way people think and behave. If she isn’t typing away on her laptop, you can find Denise exploring the many treasures of Jacksonville, supporting the arts, and spending time with family and friends. 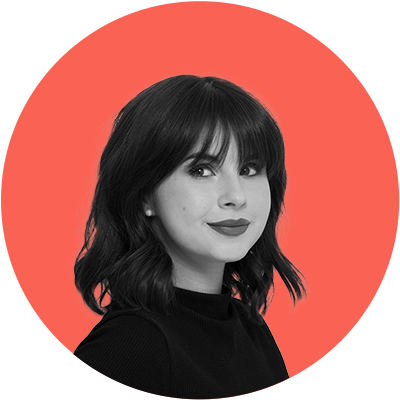 Being an Art Director is not so much a job to Bianca, as it is the logical extension of her passion. 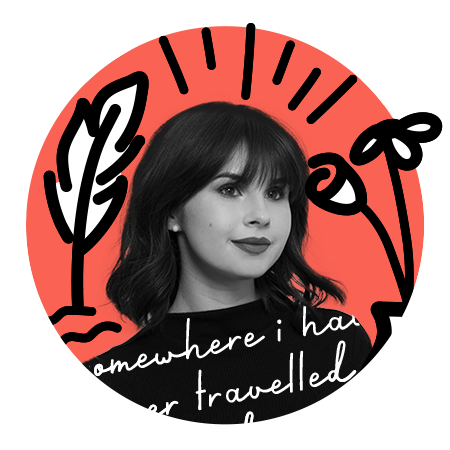 While the portfolio of work she has created for our clients features traditional tenets of advertising and graphic design, Bianca’s instincts are those of a fine artist. Her application of photography, typography, grid systems, and vector graphics is elevated and helps turn campaign collateral into truly special brand elements. She has applied her signature touch to clients as diverse as the Phase Eight Theatre Company, the Centers for Disease Control and Prevention, and the Administration for Children and Families. In her spare time Bianca is into, you guessed it, making art. She particularly enjoys working on tactile art like collages and embroidered pieces. She also likes to study new ways to apply digital solutions to fine art challenges. 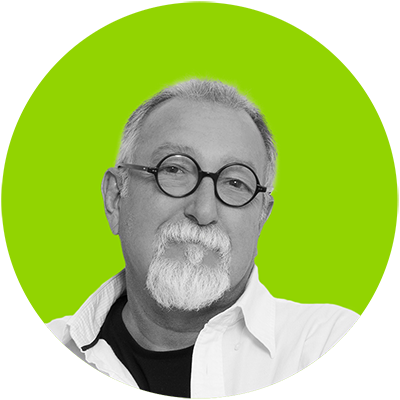 As a design veteran with a background in IT, Bruce joined Brunet-García to focus on user experience design and development. 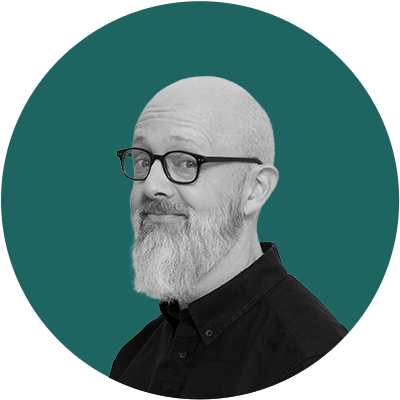 A graduate of Savannah College of Art and Design, Bruce’s unique blend of graphic and digital design expertise turn inherently complex websites and web applications into rewarding, interactive experiences. 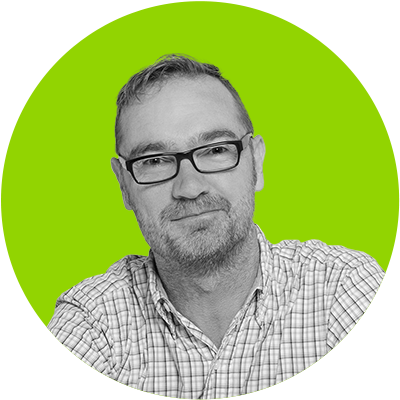 Bruce enjoys working with clients and making sure they are active partners on his projects, from conception to completion. His humor and humanity play a key role in our creative and digital teams’ success and sanity. 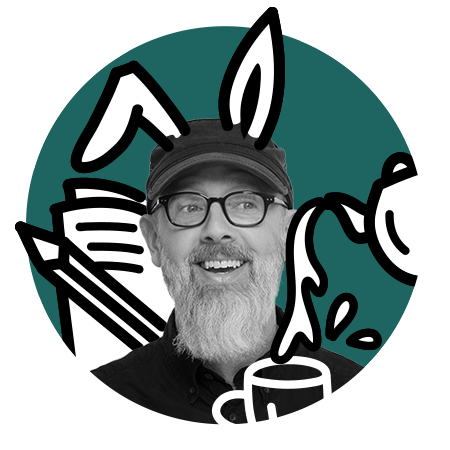 Bruce has a love for illustration and a good cup of tea. When not standing in front of his computer, you can find him spending quality time with his family. Cassie combines personal expression and client needs to develop visuals that are versatile, memorable, enduring, and drive home an on-point message. She’s a structured designer who balances great conceptual and presentation skills. 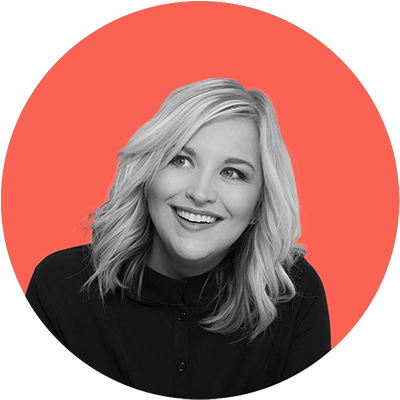 Cassie has a love for design history and principles, and she uses her skills to bring life to campaigns for the United States Department of Agriculture, National Center for Injury Prevention and Control, and many more. She is also a great steward of the Brunet-Garcia brand, working to keep our internal and external materials consistent and on-brand. Not only does Cassie have an affinity for the visual arts, she also appreciates the written word. 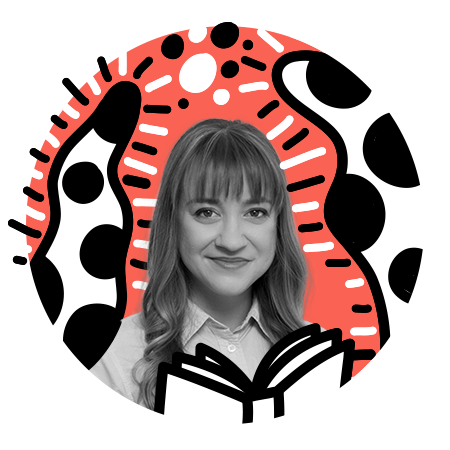 When she’s not at work or at an American Institute of Graphic Arts (AIGA) event, she’s either curled up with a good book or writing beautiful poetry. Leslie helps spearhead business development at Brunet-García, administering client and partner contracts, and contributing to the agency’s growth strategy. When it comes to the procurement process, she has been instrumental in gaining contract work with the Centers for Disease Control and Prevention, Centers for Medicare and Medicaid Services, and the Department of Homeland Security. 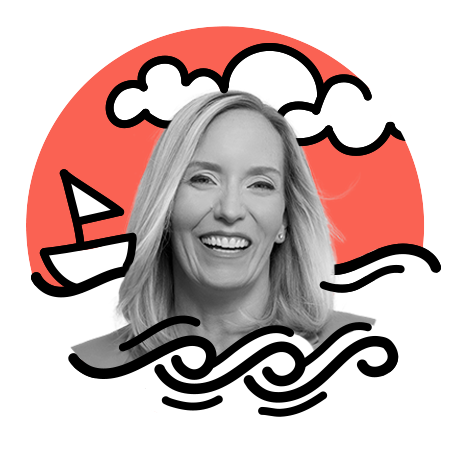 Leslie utilizes her master’s degree in mass communication to expand and refine social and digital media strategies for many of the agency’s clients. 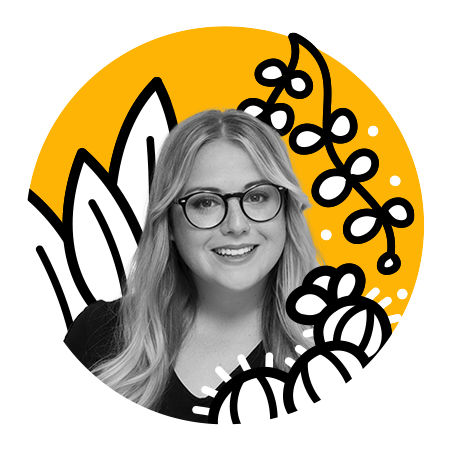 When not entrenched in business development and communications, Leslie is busy growing her green thumb and can be found nurturing her garden of succulents, at an American Advertising Federation (AAF) board meeting, or happy hour with friends and family. Keenan’s role at Brunet-García has expanded from providing training and outreach support for the Florida Department of Health’s Florida SHOTS program to lending her public health expertise to a variety of federal health-related clients. Keenan holds a bachelor’s degree in health administration and a Master of Public Health from Indiana University in her home state. An unparalleled communicator, Keenan couples her thorough understanding of the healthcare industry with adept written and verbal communications skills, allowing her to effectively connect between disparate healthcare interests and effectively educate and influence stakeholders. When it comes to healthy living, Keenan talks the talk and also walks – or rather runs – the walk. She is an avid runner who looks forward to competing in multiple half and full marathons. She also enjoys watching her son and daughter play sports and hanging out on the Gulf Coast. As a Florida-certified public accountant, Thrude leads all financial aspects of Brunet-García alongside our partners. 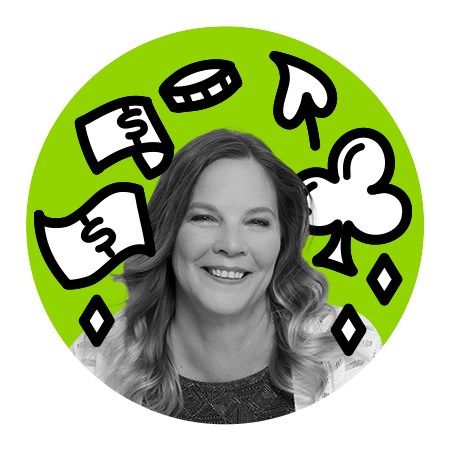 She maintains a (balanced) overview of agency and client budgets to help ensure everyone’s financial well-being. Thrude actually loves spreadsheets and analyzing financial data and trends. True to her CPA core, she thrives on the competitive strength the information gives us. 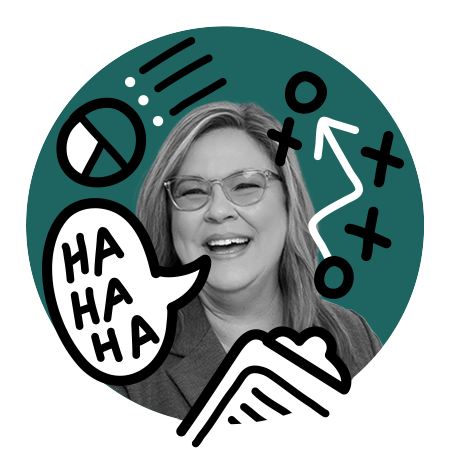 While Thrude works with numbers, she speaks the language of business, and her time with Brunet-García has coincided with a tremendous period of agency growth and client wins. Thrude is a Jacksonville Jaguars fan to the core, a Navy mom, and a hip and happy grandma. When not buried in numbers, Thrude can be found in her Jaguars season ticket seats, sipping a cold one. 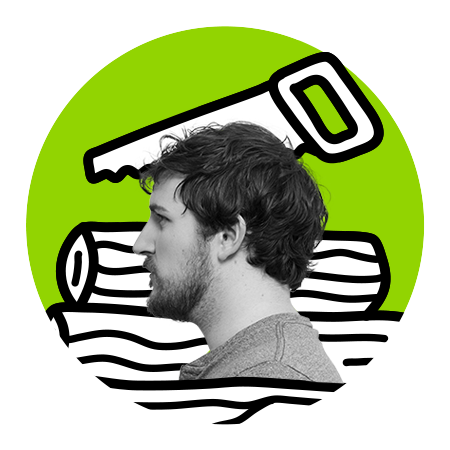 True to his musical roots, Chad’s nature as an Account Manager is to find compositional balance in all aspects of client management. He maintains a focus on transportation, arts, and public safety clients. Chad’s strong relationship with our digital team has lead him to managing many of our technology-driven projects, like app development and maintenance for the Transportation Curriculum Coordination Council (TC3) technical services program. 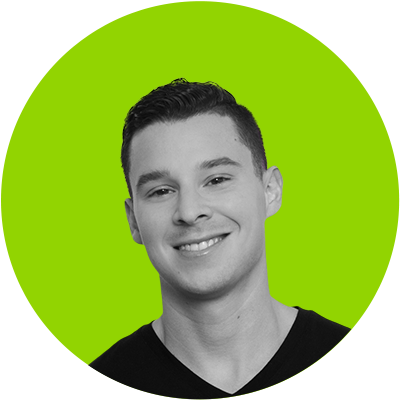 Chad also serves as one of the agency’s creative copywriters on digital and print campaigns. Chad is also a songwriter and musician who has played onstage in multiple venues around town. 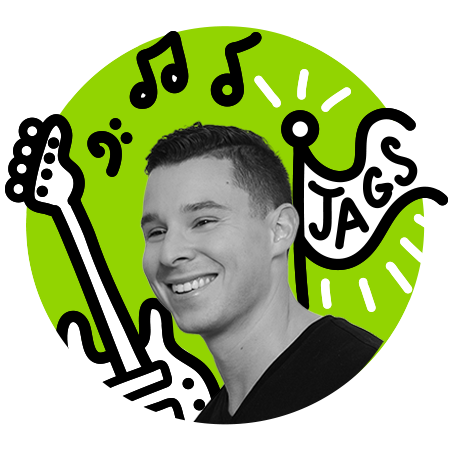 Besides music, his other passion is the Jacksonville Jaguars football team. You can find Chad at Jaguars’ tailgates during most Sundays in the fall. Francie combines her two interests of public health and marketing into her position of Account Executive. Working closely with clients and the Brunet-García internal accounts team, Francie provides strategy and communication for the Agency for Toxic Substances and Disease Registry (ATSDR) on the National ALS Registry, the Centers for Disease Control and Prevention (CDC), and other federal government agencies. Francie is motivated by a passion to help communities address significant public health issues. Her work with the CDC in its efforts to address the opioid crisis is an example of that passion put into action. 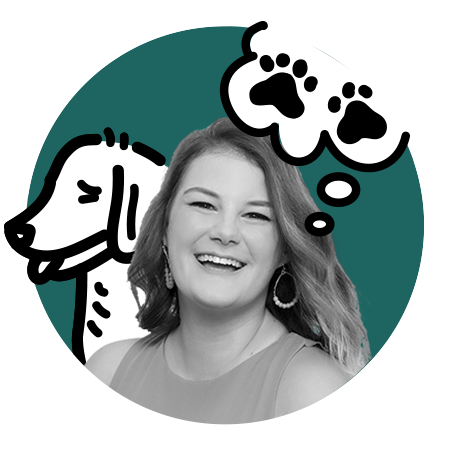 Away from work, Francie has a passion for fluffy dogs, particularly Golden Retrievers and Great Pyrenees. 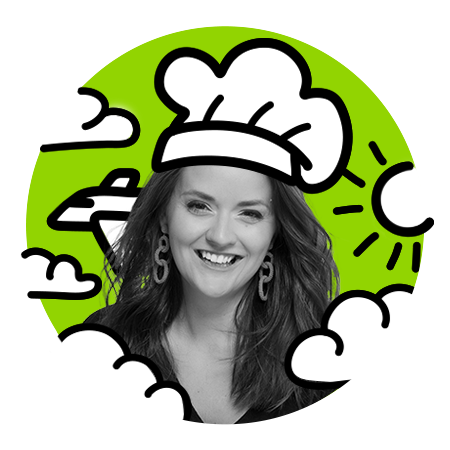 She is also an epicure who enjoys trying out new restaurants and dishes in her hometown of Atlanta. Colin develops and executes visual designs that draw tangible connections between the physical and emotional. While Colin’s design works at a visceral level, it also leaves impressions that can that resonate and create an entire user experience. His work with typography and photography are examples of Colin pushing the boundaries of what’s possible with traditional treatments. He works with clients like the U.S. Citizenship and Immigration Services (USCIS) to bring consistency, purpose, and creativity to their brand across a variety of media. Colin has a passion for woodworking, particularly furniture and hand-cut typography, and his dexterity extends to the kitchen where he enjoys testing new recipes. He might also be found binging the latest true crime documentary or mini-series. 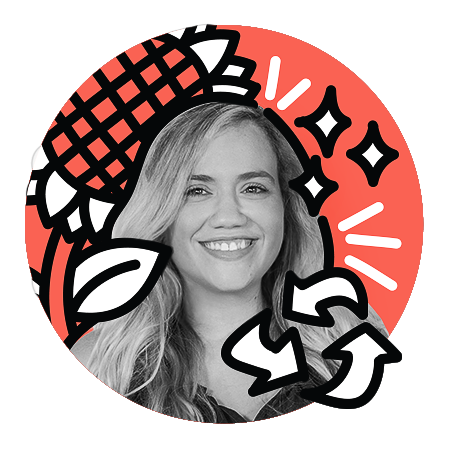 Melissa is an Art Director who brings a clever, illustrative touch and unique cultural affinity to her work. 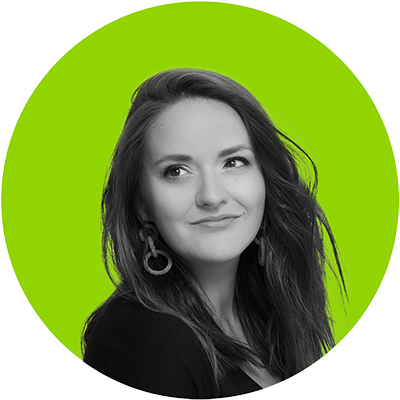 She is adept at many aspects of design – from print, to web, to motion graphics. Melissa came to us from Bacardi where she was a packaging graphic developer. She has a great eye for detail and brand consistency, and she also knows how to take limited brand elements and expand and enhance them. 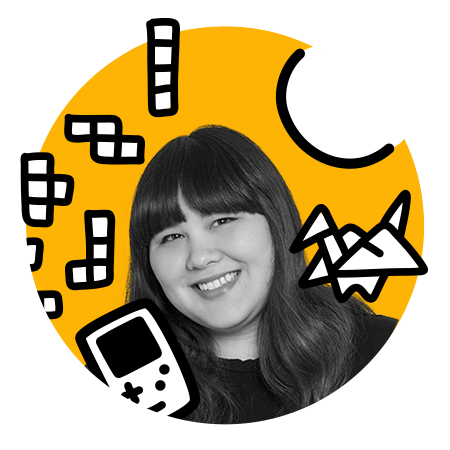 Melissa is the only member of our team who can say she is fluent in Japanese. In her spare time, she likes to make intricate paper cuttings and listen to music. 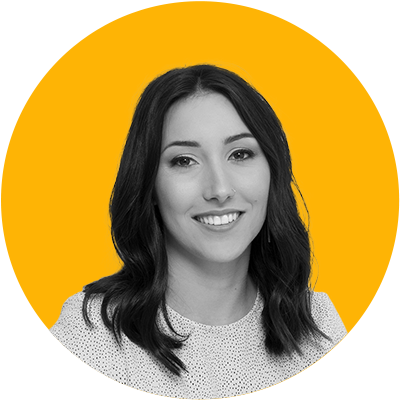 Sarah is an Account Executive with a keen eye for detail and a talent for efficient project management. She loves the organized chaos of working on accounts and is a master multi-tasker. Sarah has worked with a diverse portfolio of clients, including ExxonMobil, the Centers for Disease Control and Prevention, and the Centers for Medicare and Medicaid Services. Federal agency work is her sweet spot, so she is right at home in our Washington, D.C. office. Sarah likes to escape the hustle of the Beltway and enjoy the outdoors. You can often find her in a kayak on the weekends. When not in a kayak or hiking a trail, she enjoys relaxing with an occasional glass, or two, of wine. 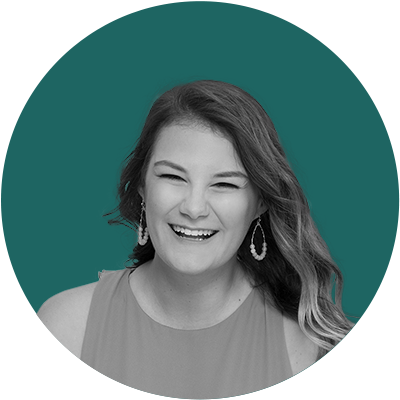 Samantha is a forward-thinking Account Coordinator who assists the accounts team with all matters ranging from client brand management, market research, and writing and development of promotional materials. Her diligence is unparalleled, and she brings fresh insight to the world of client relations. She works efficiently and effectively in our fast-paced, evolving environment. Samantha has always been attracted to great architecture, and she travels near and far to catch the latest art exhibitions. You might just have to pry her out of a museum at closing time. 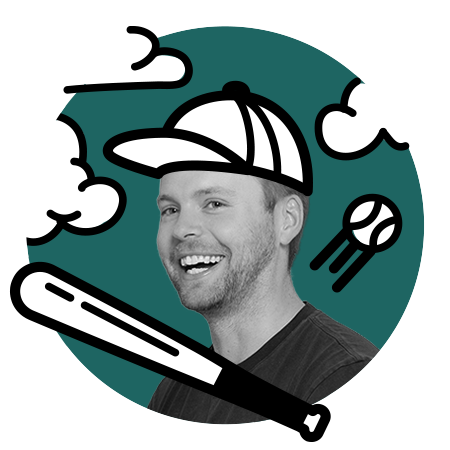 Zach possesses a unique blend of creativity and analytical thinking, which helps drive his communication and negotiation skills. His background working with large clients and national agencies on out-of-home campaigns further honed his ability to manage innovative paid media initiatives. Zach has planned, purchased, and executed paid media campaigns for clients like USCIS E-Verify, Centers for Medicare and Medicaid Services (CMS), and CDC Skin Cancer. A die-hard Washington Nationals fan, he spends a lot of his free time at the baseball grounds with his wife, Amanda, and their young son. In an unsettled digital world, Richard keeps us safe. It is his job to ensure we are working securely and efficiently. 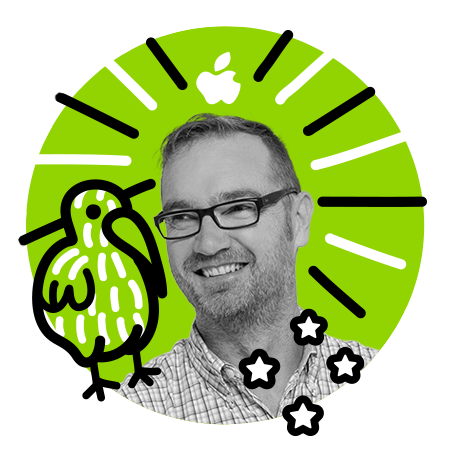 Back home in New Zealand, he worked as an art director and design editor before moving to the states where he most recently worked as a full-time Genius at an Apple Store with Apple Technician Certifications in both hardware and software repair. Richard is now honing his genius to fill the IT needs of BG and our clients by integrating new and existing services with help desk support. He enjoys cooking for and amusing his children while simultaneously calculating the time remaining until they leave the nest. 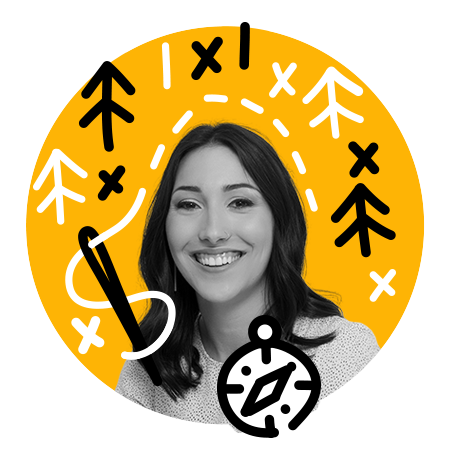 Noelia combines creative ideas with her research proficiency and knowledge of digital marketing programs to extend our transformative campaigns and educational materials to target audiences and meet them where they are. She assists the agency’s outreach and engagement team in implementing our earned, social, and grassroots media efforts across all mediums. Noelia’s zest for life is contagious, and her enthusiasm extends beyond her desk into the far reaches of our environment. If you want to escape her judgement and wrath, leave your single-use plastics at home. Tapping her background of programming, marketing, and donor acquisition relations consulting as well as her years of strong community involvement, Lisa helps diversify the agency’s business and social impact, specifically focusing on private sector and nonprofit clientele. She transforms proposals that might seem like a lob to some into lucrative business opportunities that benefit both parties. 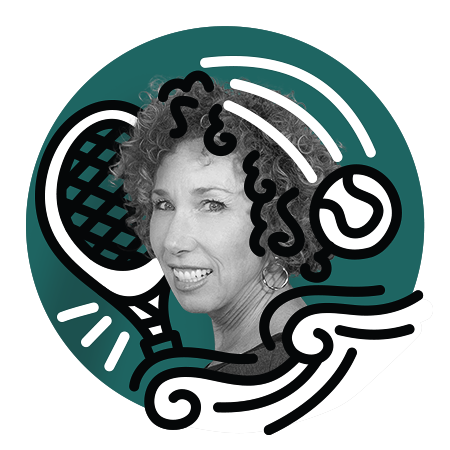 She can also frequently be found hitting lobs outside the office on the tennis court with her husband or escaping into the great outdoors.